As autumn is on its way I’ve been looking back over some of the weddings I’ve had the pleasure of being involved in this year. 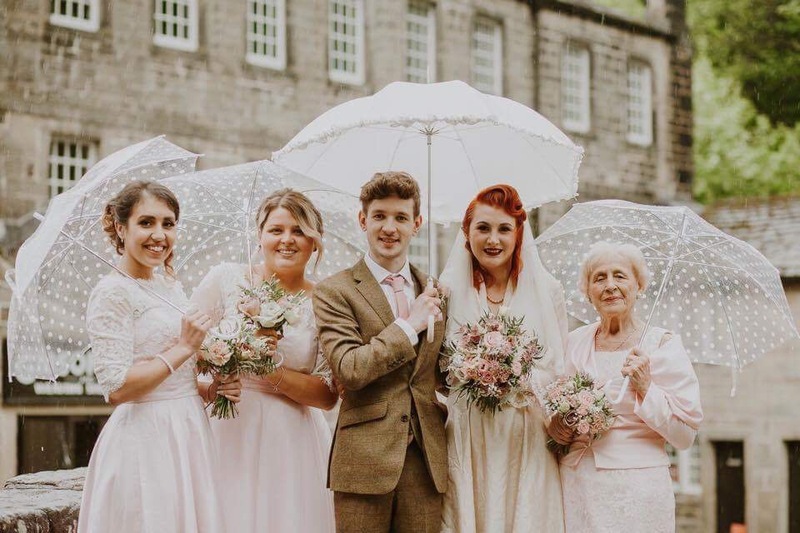 Two that really spring to mind for their originality and fun vibe are the Rachel and Mike’s and Catriona and Mikey’s who both got married in May. One couple in Leeds and the other at Hardcastle Craggs near Hebden Bridge. When I got married 12 years ago you were looking at a hotel, a golf club or perhaps a marquee for your wedding venue if you were posh and your Dad owned a farm! Today the variety of wedding venues is endless! 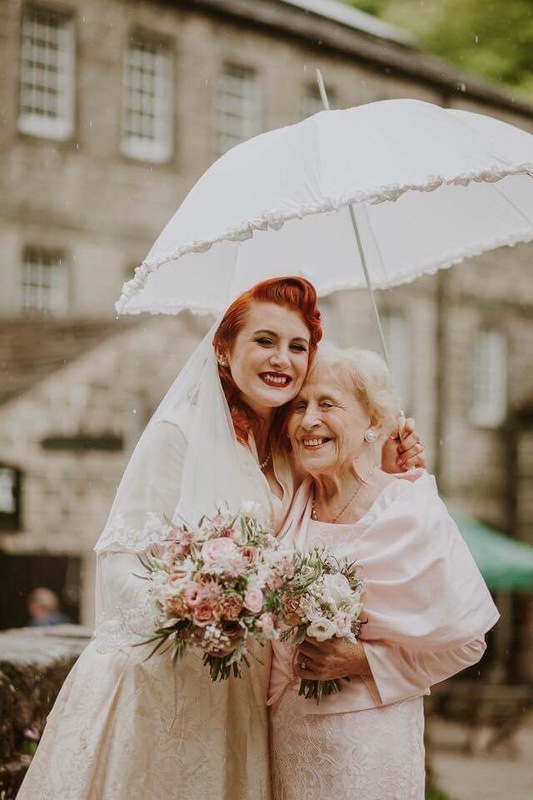 You can get married in a wood, a field, a warehouse, an art gallery, a hot air balloon, a submarine, the London Eye – you name it! What I loved about these 2 weddings was their fabulous Mill venues, both so different from one an other. Rachel and Mikes wedding was at Sunny Bank in Farsley, an amazing, gritty, industrial space, with peeling plaster, bare metalwork and dusty cobwebby corners. Catriona and Mikey however, opted for more of a Vintage feel. 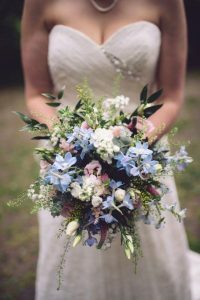 Their wedding was at Gibson’s Mill, a national trust property down a long track through the woods where guests were ferried up and down in 1960s VW campers. Rachel asked me for “Happy flowers” where as Catriona wanted all pale vintage colours and didn’t even mind some carnations in the mix! Jenna Woodward Photography took Rachel and Mike’s photos and Maddie Farris took Catriona and Mikey’s.